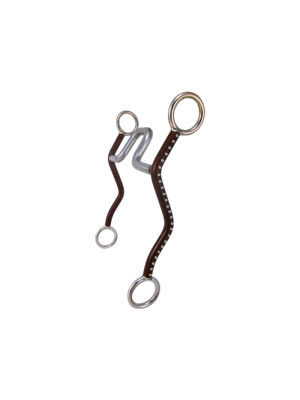 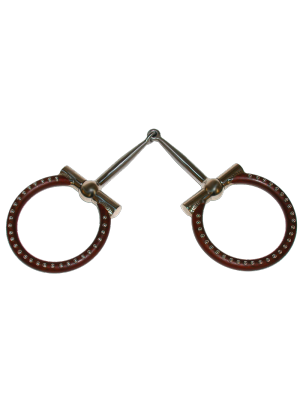 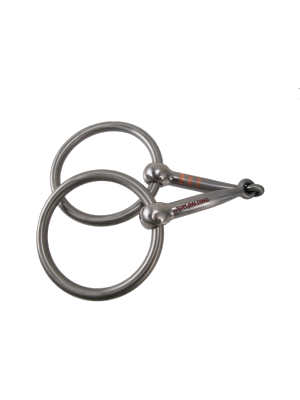 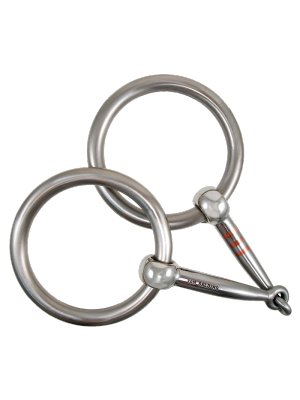 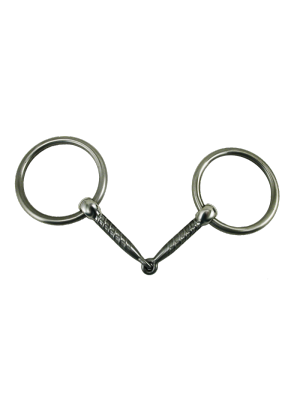 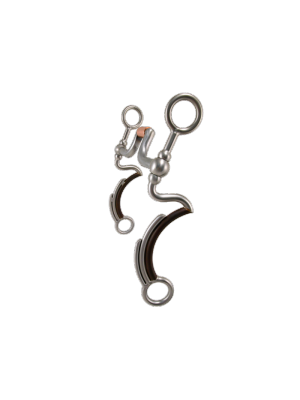 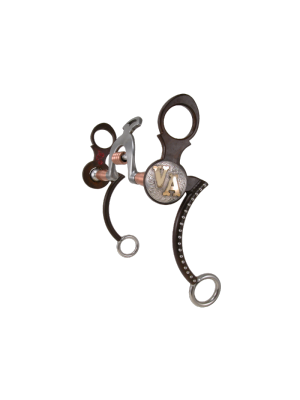 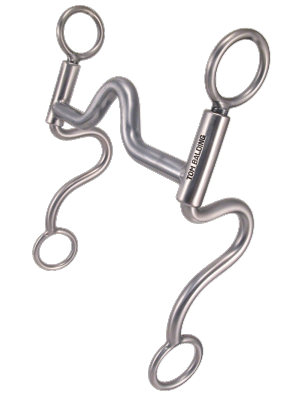 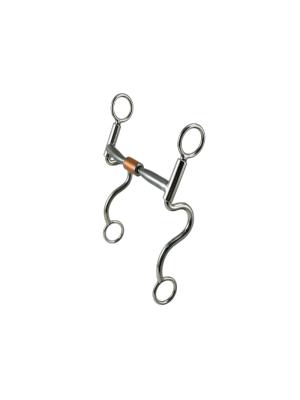 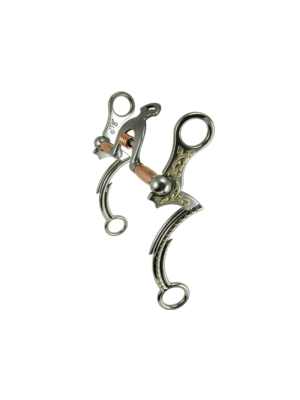 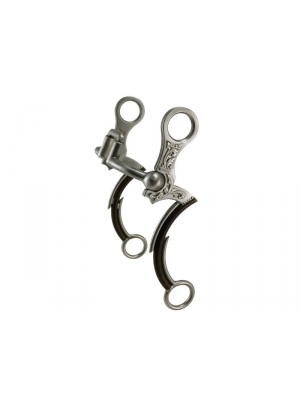 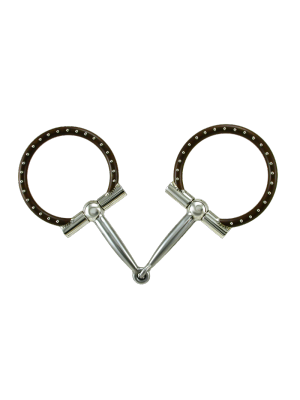 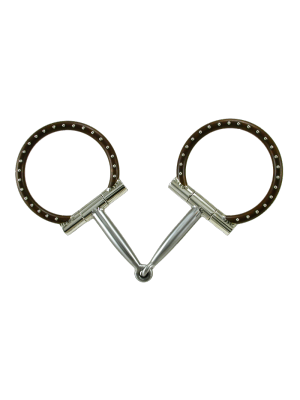 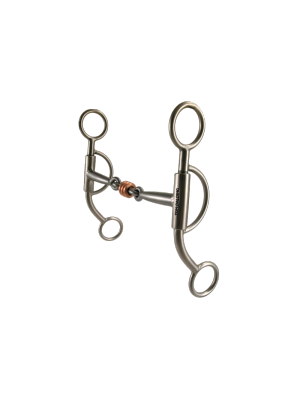 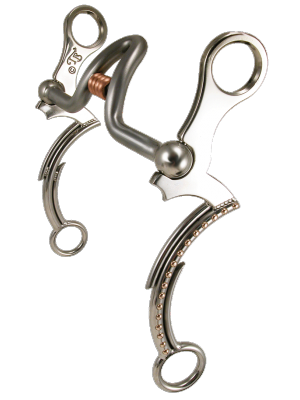 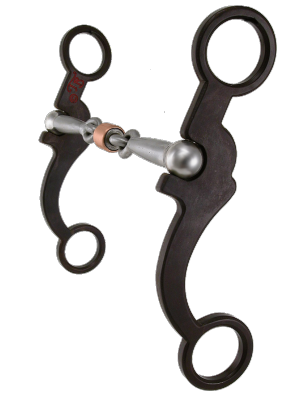 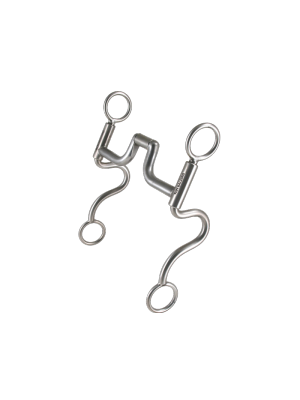 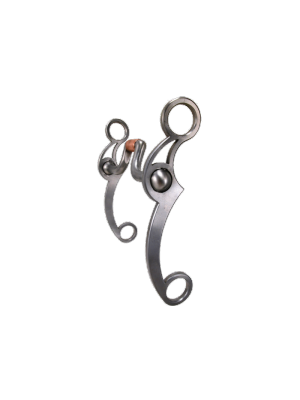 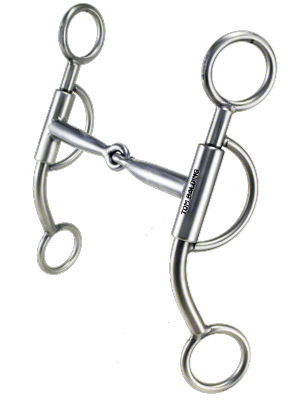 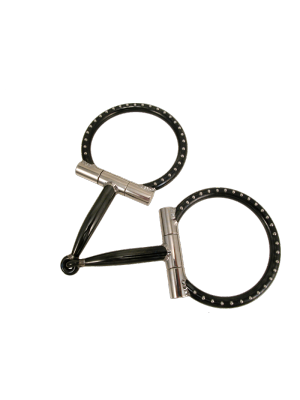 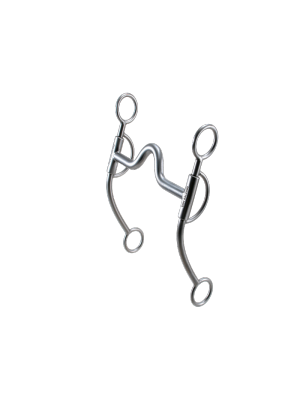 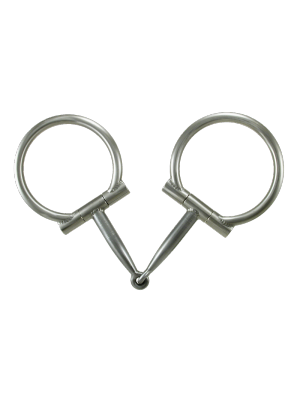 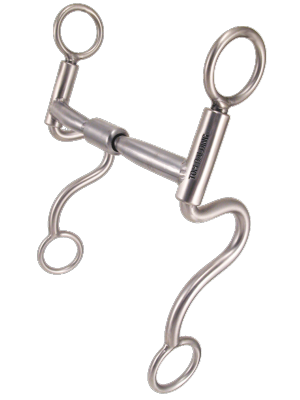 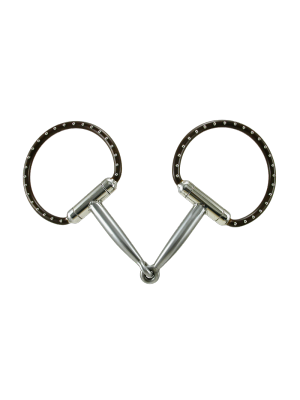 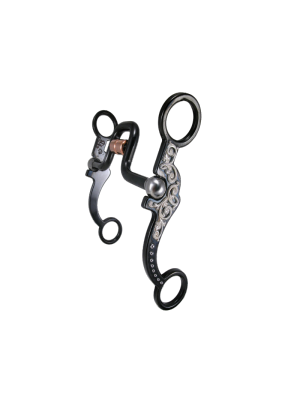 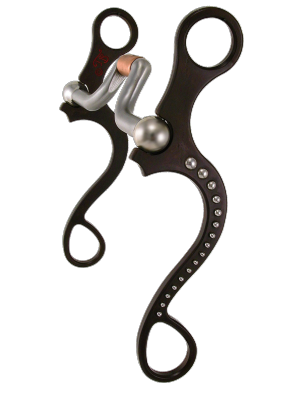 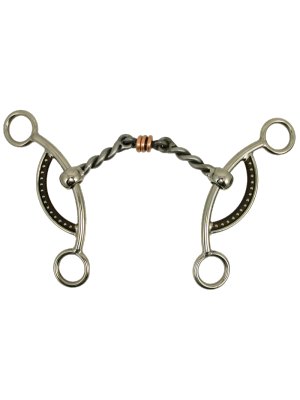 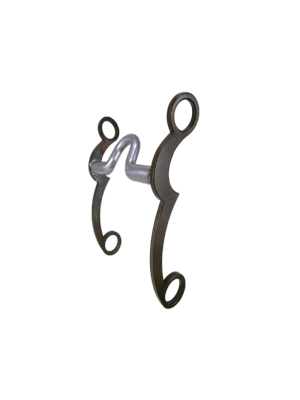 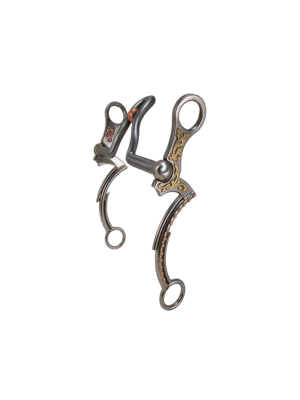 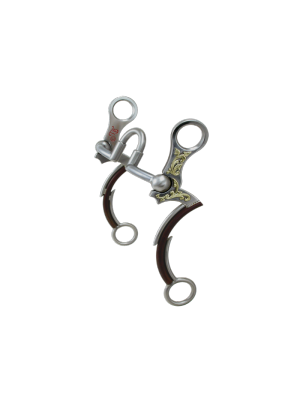 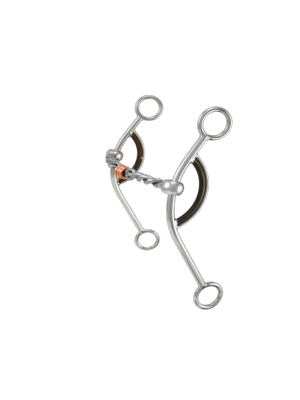 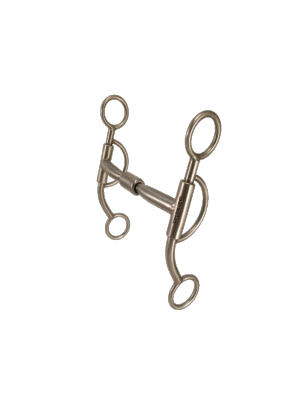 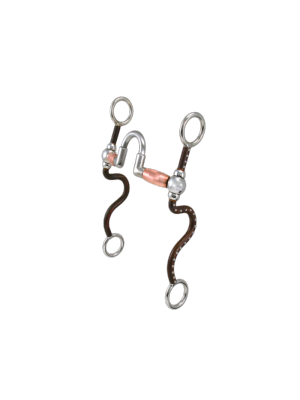 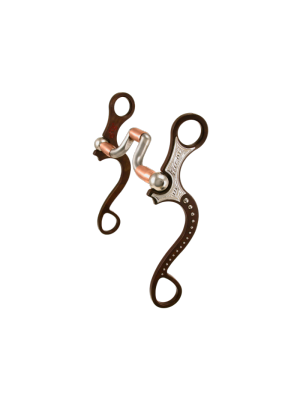 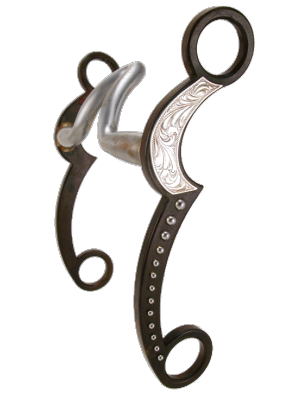 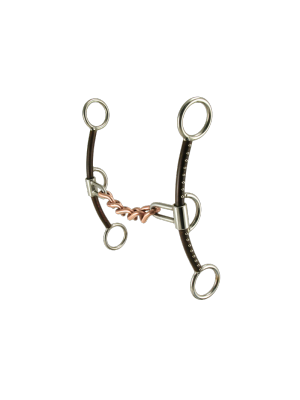 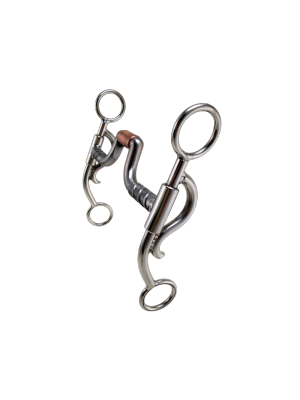 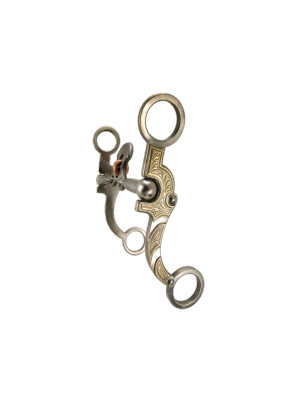 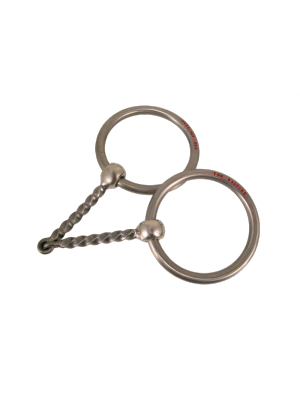 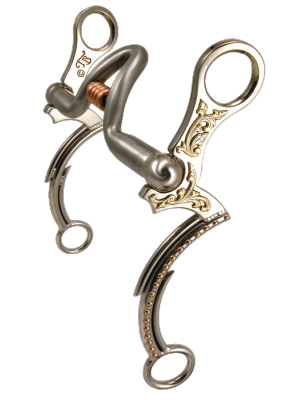 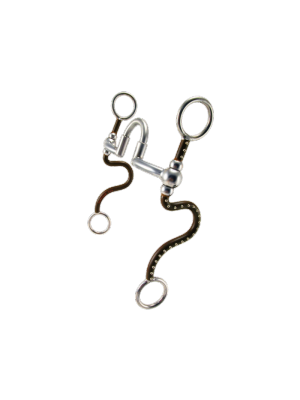 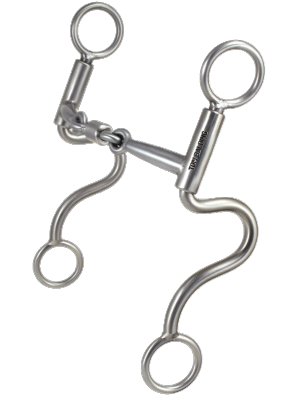 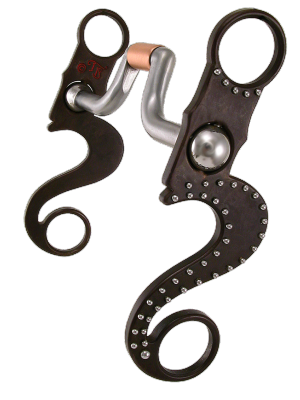 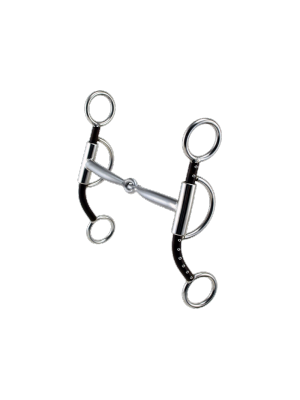 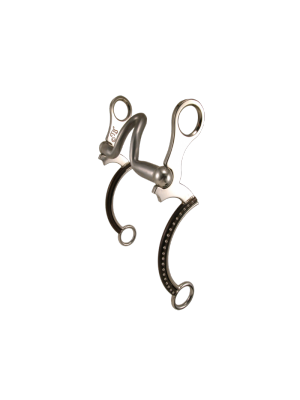 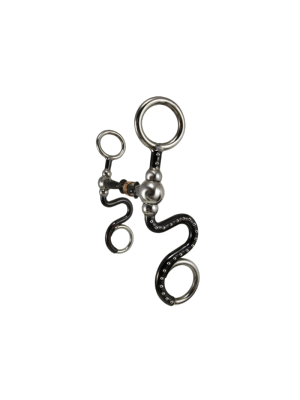 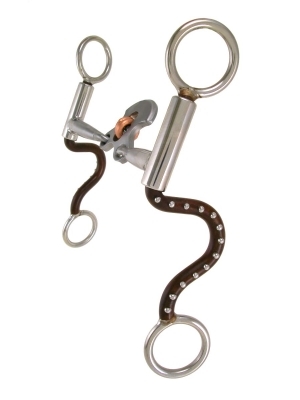 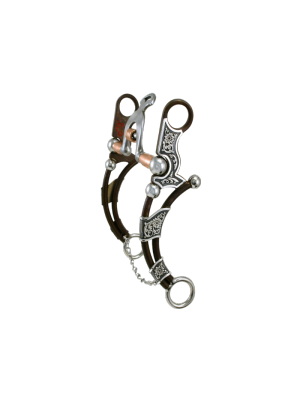 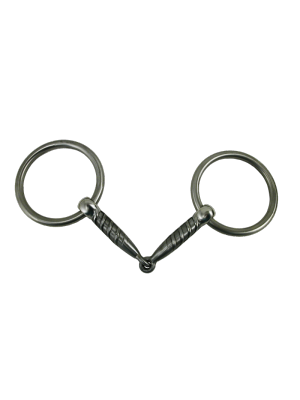 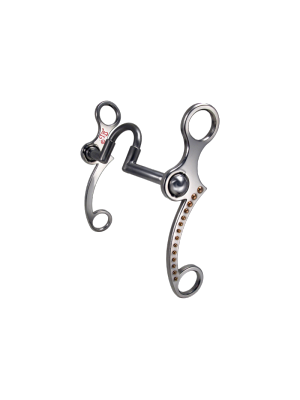 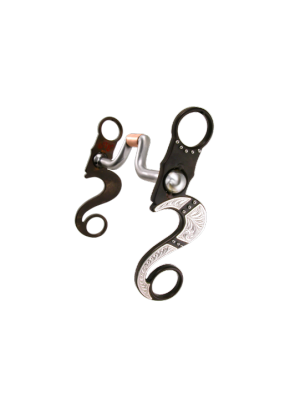 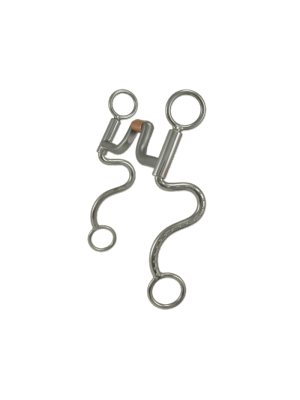 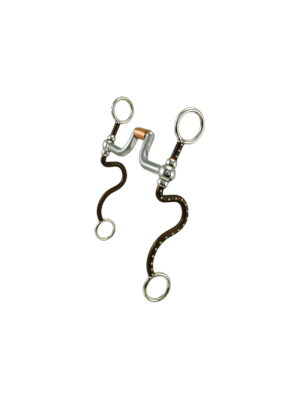 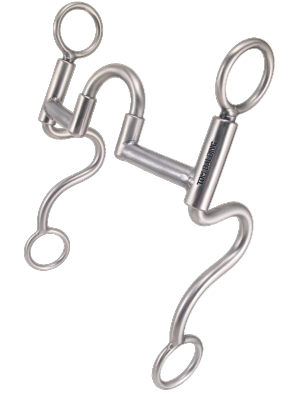 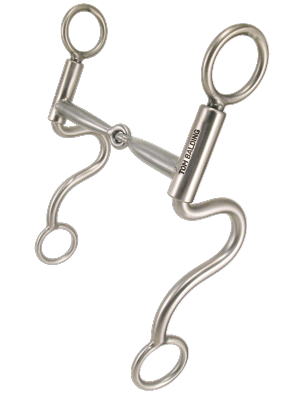 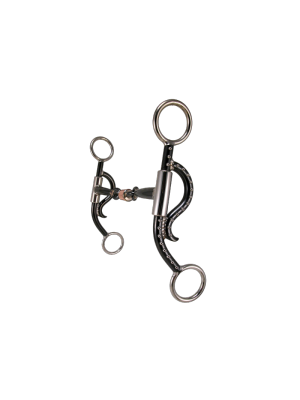 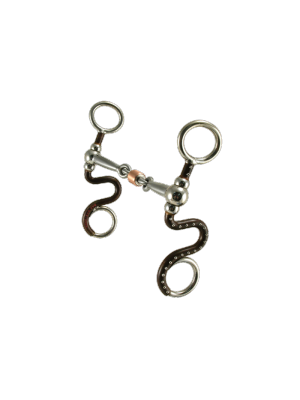 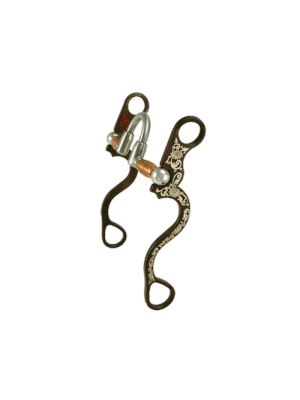 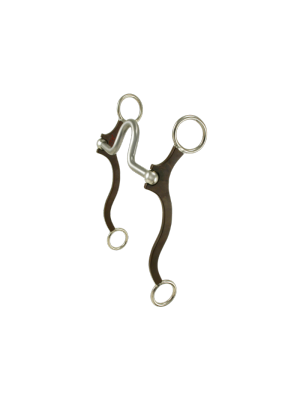 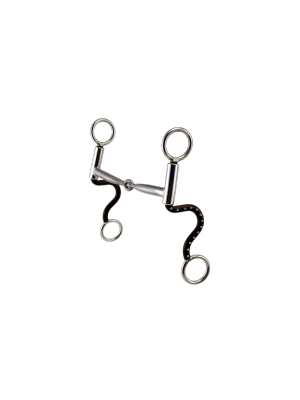 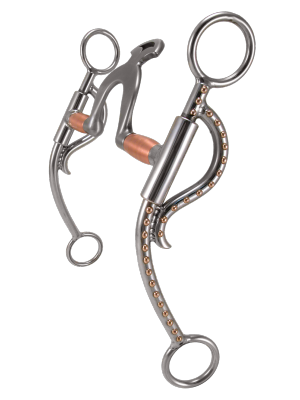 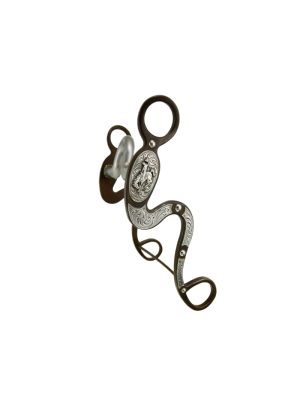 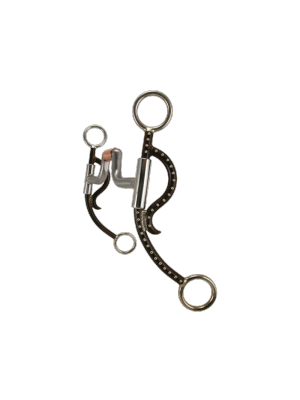 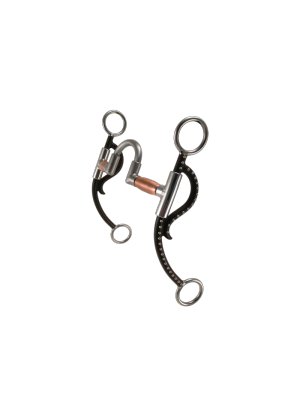 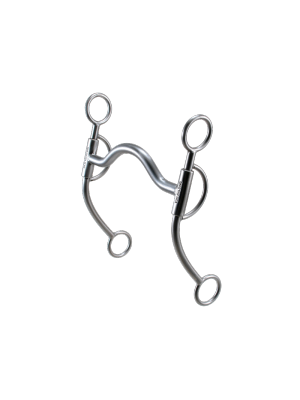 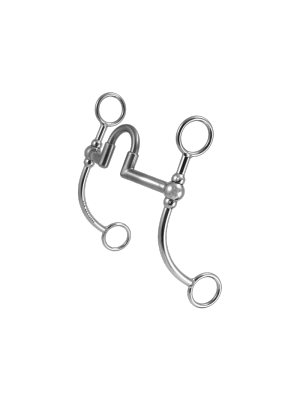 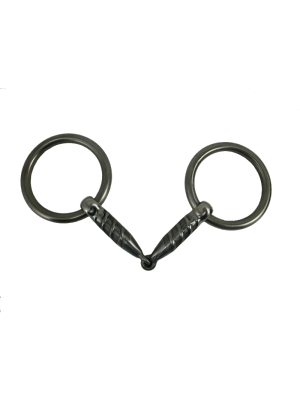 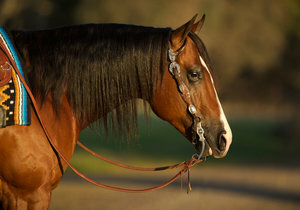 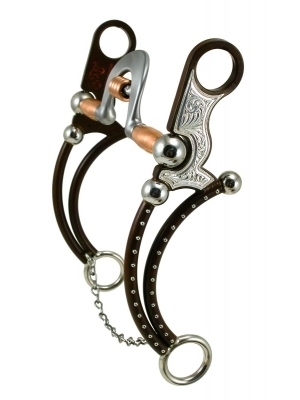 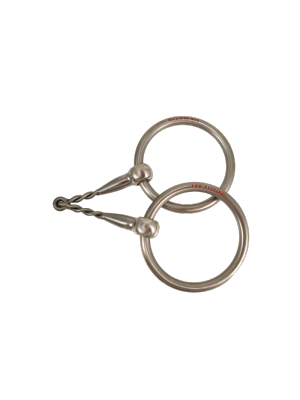 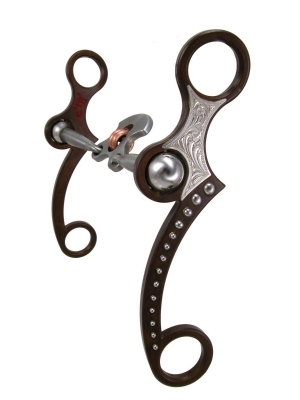 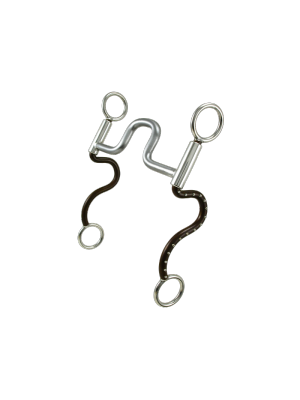 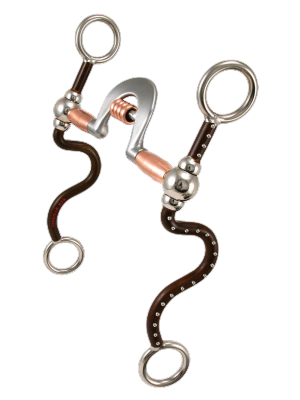 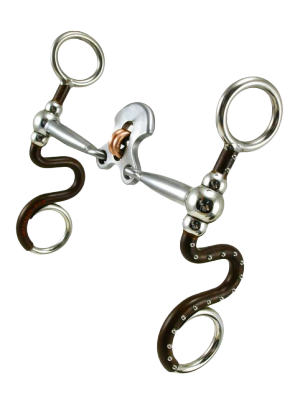 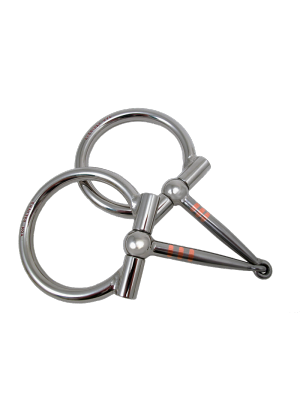 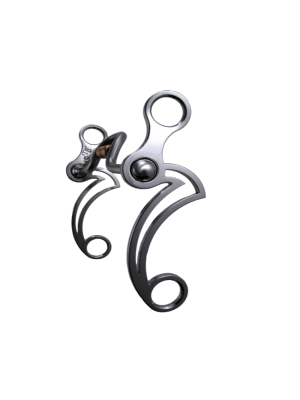 This beautifully crafted snaffle bit features a satin finish D-Ring©. 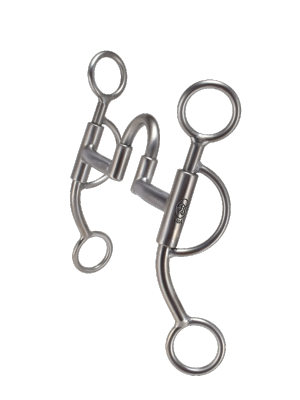 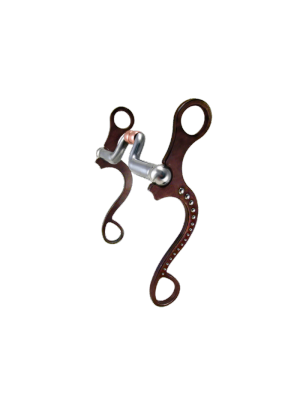 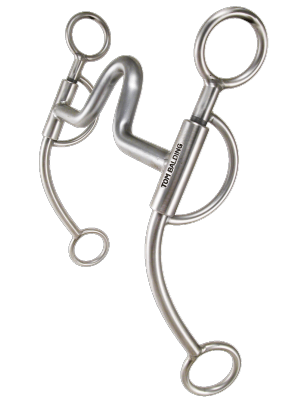 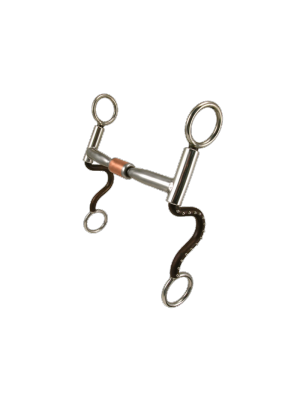 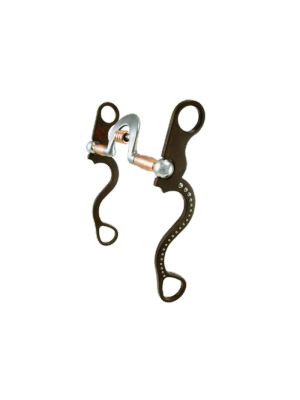 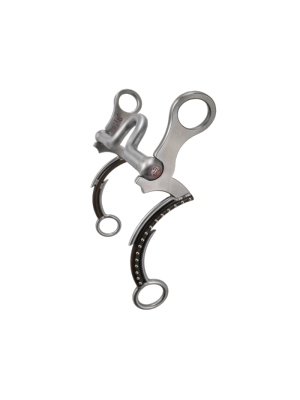 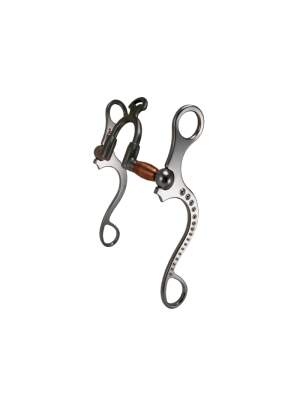 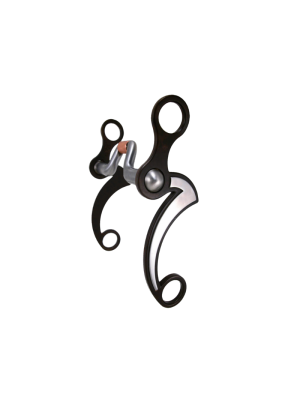 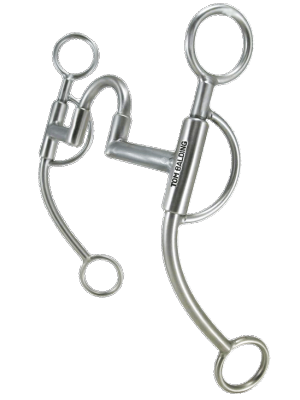 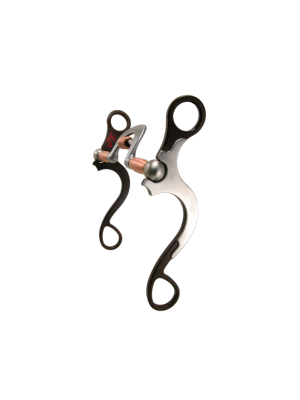 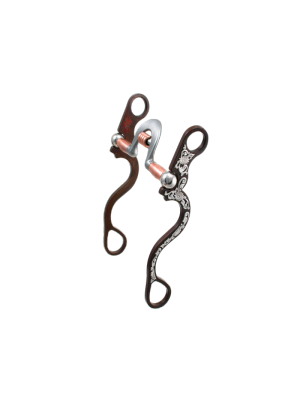 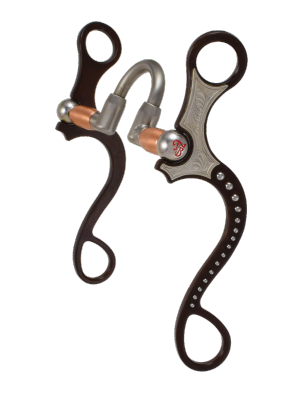 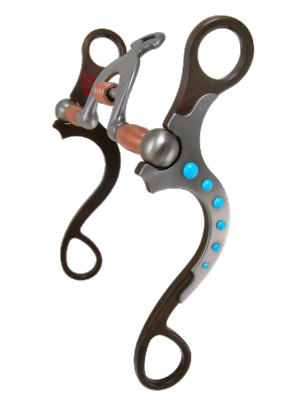 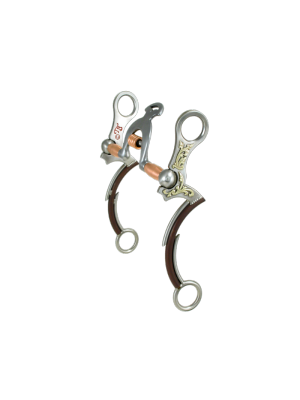 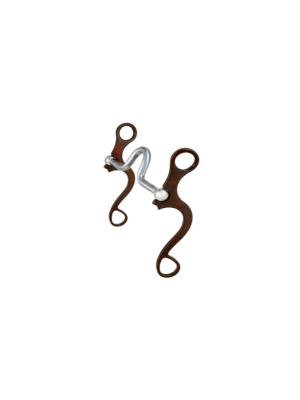 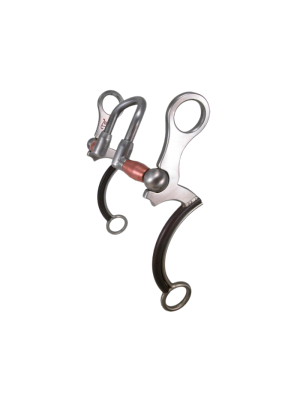 The mouthpiece is our Flat Bar Snaffle©. 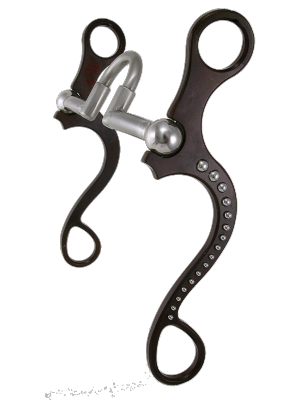 The mouthpiece is in our standard width of 5 1/8" and made of sweet iron. 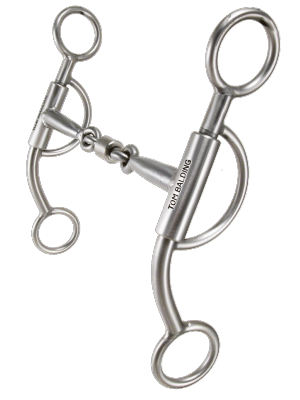 There are endless combinations of shanks, rings, and mouthpieces. 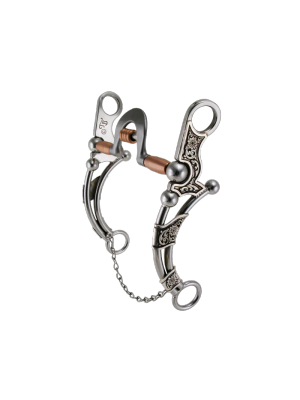 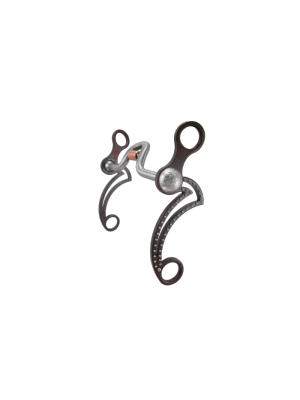 Each bit is handcrafted by our talented craftsmen on an individual basis. 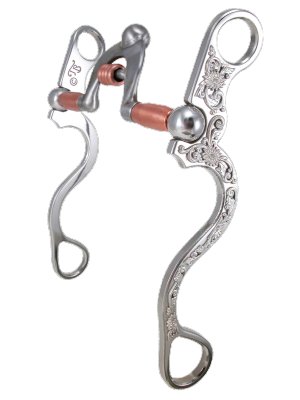 If you have questions, don't hesitate to e-mail or call our friendly office staff at 307-672-8459. 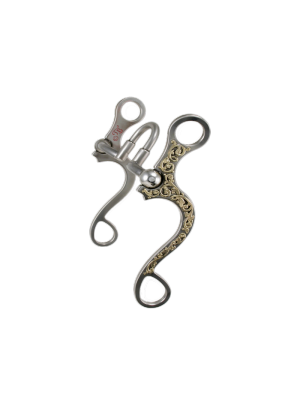 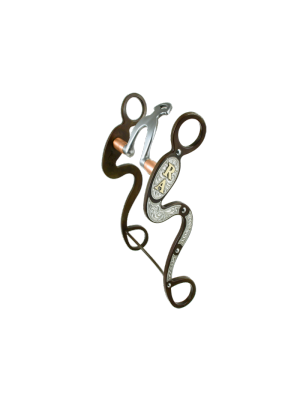 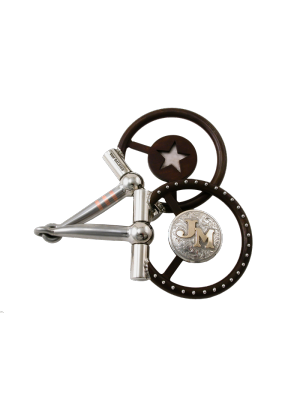 When you've made a decision and are ready to place your order, make sure you've considered the finish and any extras, such as initials, brands or sterling silver mounts you may want to customize your bits.